Best phone, I like it so much. this phone support what's app...??? good 4 fb & internet bt bad 4 sound quality, media options, & office type works. i didn't lyk it. best phone among the cheapest & good looking, you can use it during your any wrok, office, crowd, kitchen factory etc. this will be worth for your rough uses. I saw this phone when I buy a new one to replace my Samsung Galaxy Y GT-S5360. I little bit confused if I should buy it or not. 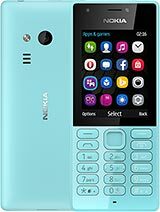 And then I choose not to buy it after I read some comments about this phone instead I select Nokia X.
I want to buy this phone. Is it good or bad please suggest me !!! After using fb aap 3-4 months it does not work ? have crossed out musical note top of screen what does it mean?